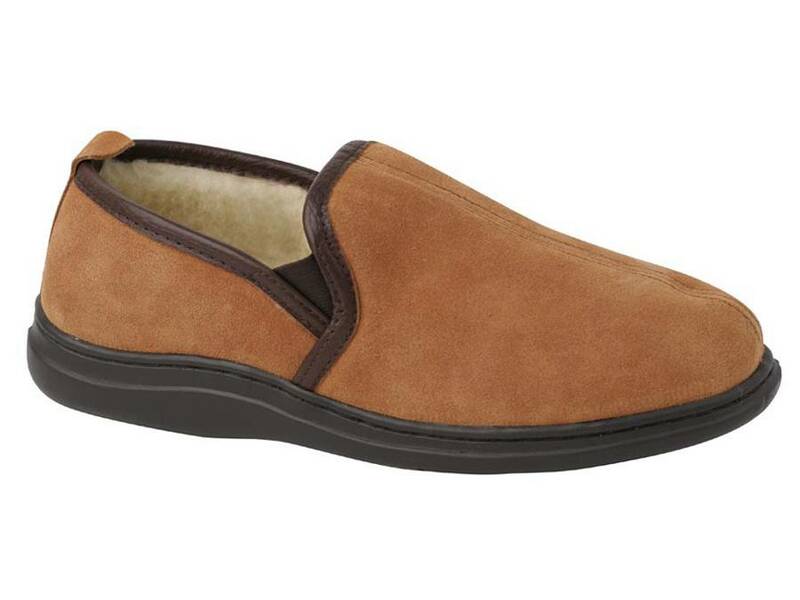 Cradle your weary feet in our soft suede L.B. 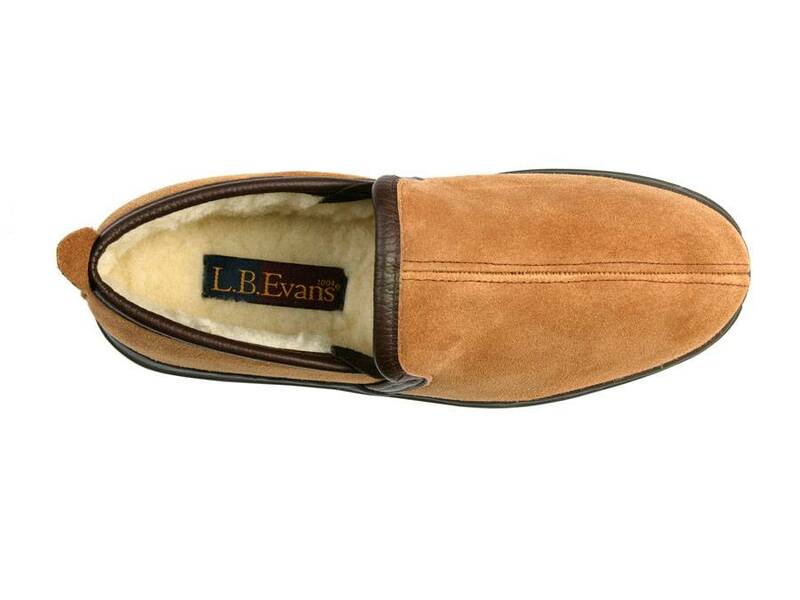 Evans Klondike men’s slippers with t warm fleecy boa linings and Memory Foam cushioning support insoles. Subtle elastic side panels and rear pull tabs make it easy to slip them on and off, but you won’t have to change them for another pair of footwear with their versatile indoor/outdoor hard soles. 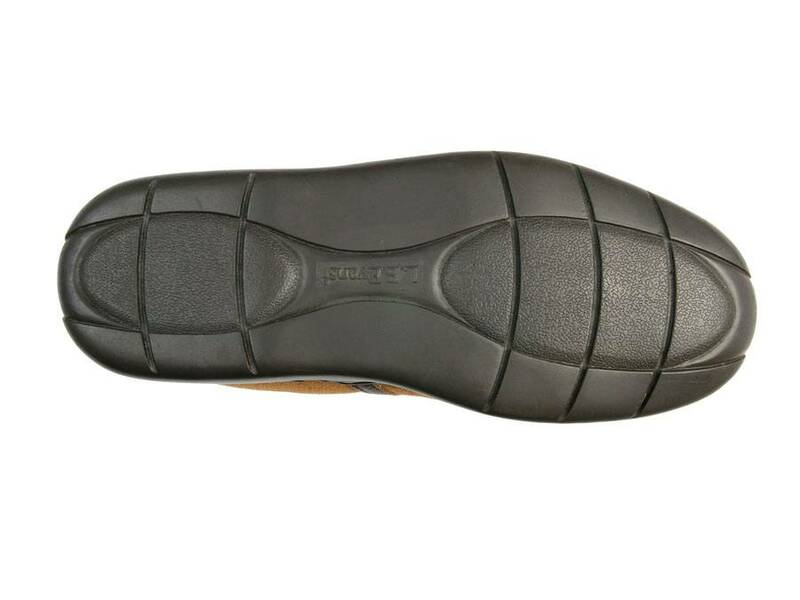 The outer sole construction includes subtle traction for slip-resistant durability. 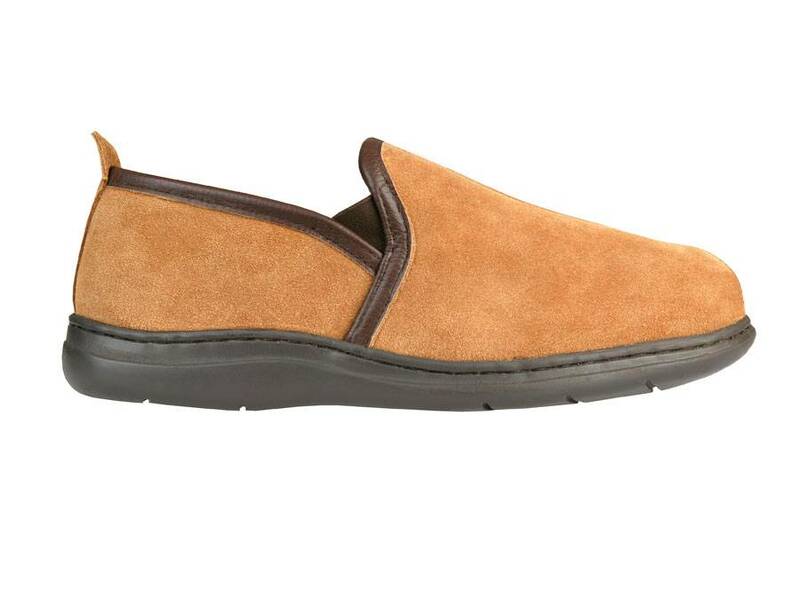 The leather accents add a handsome touch to these expertly stitched comfort slippers by L.B. Evans. They’re available in saddle brown or black in sizes ranging from 7M to 18EEE. You can find some L.B. Evans slipper designs in better men’s stores, but because we own the brand, you won’t find a bigger selection at our famously affordable men’s slippers and scuffs than with us, and we also offer free shipping. If you’re shopping for someone else and you’re not sure about the size, consider a gift certificate.